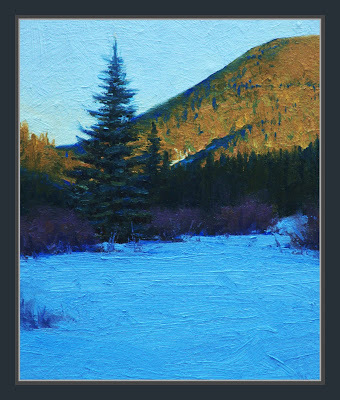 SOLD - Shadow's Bloom - The revealed pattern and featured distant hill, as the somewhat mundane light vacated the scene, was just as the bloom of another season. Something to behold. Love it Dan. What a great painting! And I love your description. This is looking good, light versus shadow . I like it . Exquisite rendering of "the gloaming", that transient phase so hard to describe ( and Paint ).